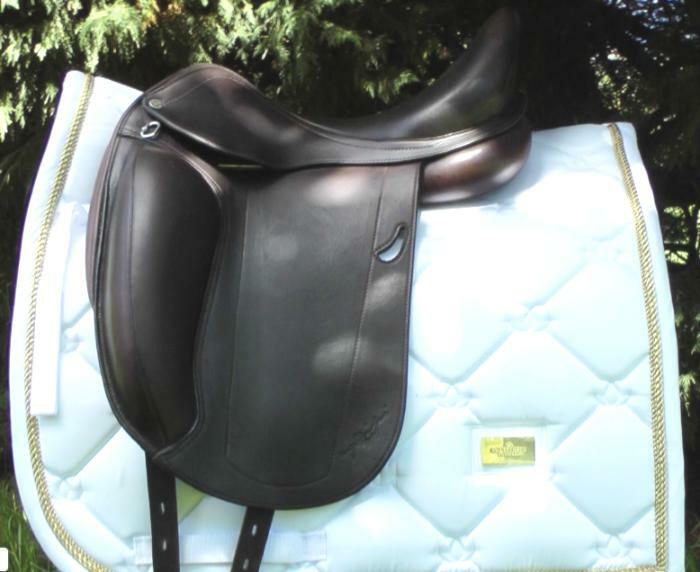 Crosby Dressage Saddle Brown 17"
Sadly I have to sell my beautiful Crosby dressage saddle. Made in England. 17", not entirely sure of gullet size (I think it's medium) but was previously fitted to stocky 16.2hh TB. Always kept covered and oiled regularly. Everyone who has ridden in it loves how comfortable it is. Unfortunately doesn't fit my current horse so selling to buy a new one. Good condition. Normal wear marks and a few scuffs that are barely noticeable. However, there is one superficial scratch on the left panel (see photo). Can be fixed by saddler if you wish. 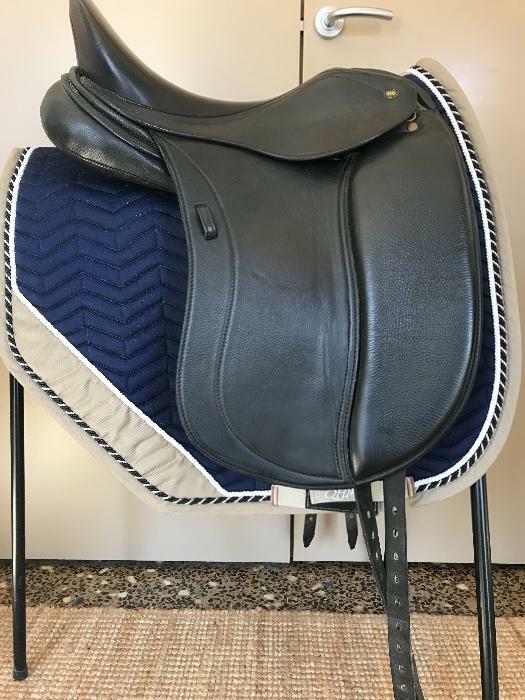 Comes with saddle cover, near new bates stirrup leathers and brown wintec girth.